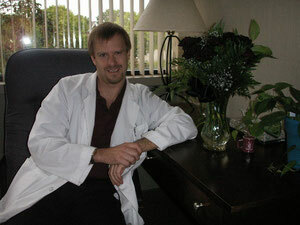 About Dr. Schley - drlschleys jimdo page! I have always been interested in alternative medicine and natural healing, believing that western medicine focused too much on the symptoms and not the cause. I have a strong background in science and received my Bachelor of Science Degree in Aerospace Engineering from the University of Texas at Austin. I worked at NASA in Houston on both the Space Shuttle and Space Station programs for 7 years. After a knee injury, I discovered chiropractic and decided to change to a more meaningful career. In 1995, I decided to attend Northwestern College of Chiropractic in Bloomington, MN and received my Doctorate of Chiropractic degree after completing the required 4200 student/teacher contact hours. This included a minimum of 1000 hours of supervised clinical training. I also received a certification in acupuncture in 1999. I continue to attend seminars to further my knowledge on physiology and nutrition in order to better serve my patients. My approach is to combine standard western medical knowledge of physiology with the kinesiology technique to give the patient a clear picture on what is causing their symptoms and to give them real answers to their condition. "Holistic Health is actually an approach to life. Rather than focusing on illness or specific parts of the body, this ancient approach to health considers the whole person and how he or she interacts with his or her environment. It emphasizes the connection of mind, body, and spirit. The goal is to achieve maximum well-being, where everything is functioning the very best that is possible. With Holistic Health, people accept responsibility for their own level of well-being, and everyday choices are used to take charge of one's own health."